The research interests of the Loake lab are the mechanisms and processes of plant disease resistance. Our goal is to make fundamental discoveries about plants and their interactions with microbial pathogens. The lab is integrated into the Institute of Molecular Plant Science, which currently comprises 12 research groups. 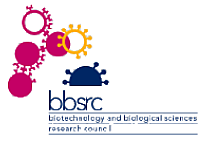 This Institute is embedded within the School of Biological Sciences, which has excellent connections with other Life Science Institutes both within the University and throughout the Edinburgh area.